Until Prohibition, New York was known for its rye whiskey. This feisty spirit was the basis for the legendary Manhattan cocktail, made famous by Jenny Churchill (Winston's Mum). Rye had not been produced in New York for over 80 years, but Tuthilltown Spirits' Hudson Manhattan Rye whiskey signals the return of the quintessential New York whiskey. Hudson is the first American aged whiskey distilled in New York since prohibition (1933). Hudson Whiskey is hand crafted at the Tuthilltown Distillery, one small batch at a time using traditional pot distilling methods. Hudson operates as an artisanal micro-distiller with everything done by hand. Each bottle is handled at least seven times - washed, filled, corked, waxed, labeled, numbered (by date, batch and bottle number) and boxed. Up to 90% of the raw materials that goes into Hudson whiskies are sourced within ten miles of the distillery. 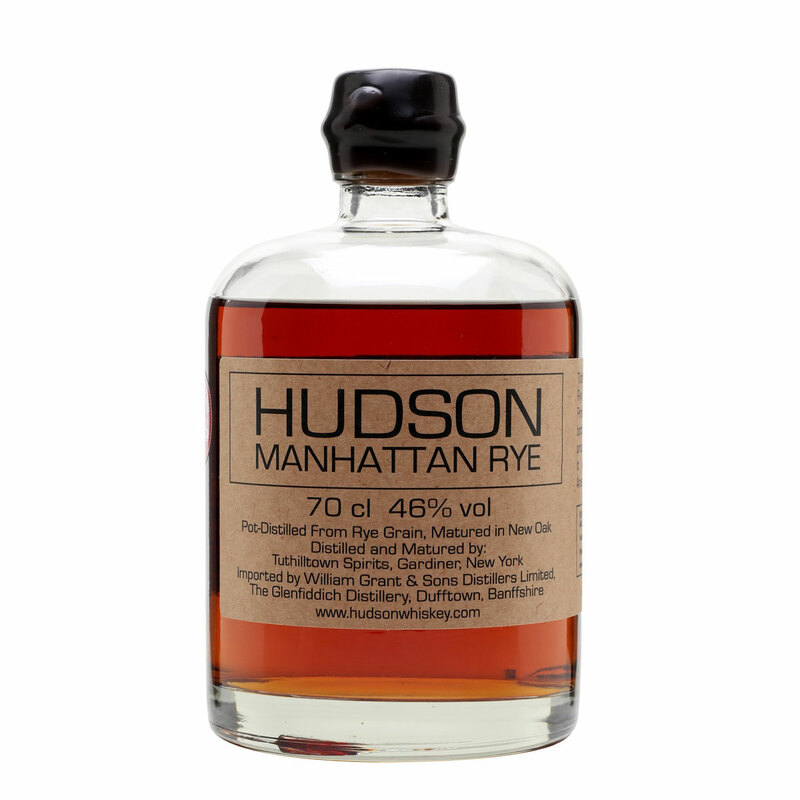 Hudson have resurrected a New York classic Rye Whiskey. Pot stilled and then aged in new charred American oak barrels producing a rye whiskey that is vibrantly bold and spicy with subtle notes of honey and coconut.